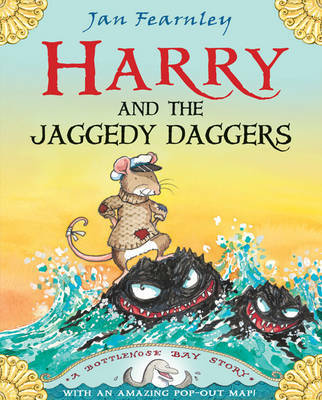 Harry and the Jaggedy Daggers The first charming instalment of the Bottlenose Bay series from award-winning author/illustrator Jan Fearnley. Harry the harbour mouse is heartbroken when his boat is dashed and smashed on the dangerous, mean old rocks - the terrible Jaggedy Daggers! But just as the sea brings mischief, it brings surprises too ...A story about being brave. Even if you are very small and have only a teacup and a rusty teaspoon. Jan Fearnley is the best-selling author of Mr Wolf's Pancakes and Arthur and the Meanies. Her beautifully crafted picture books are terrific for sharing and make for popular bedtime stories.